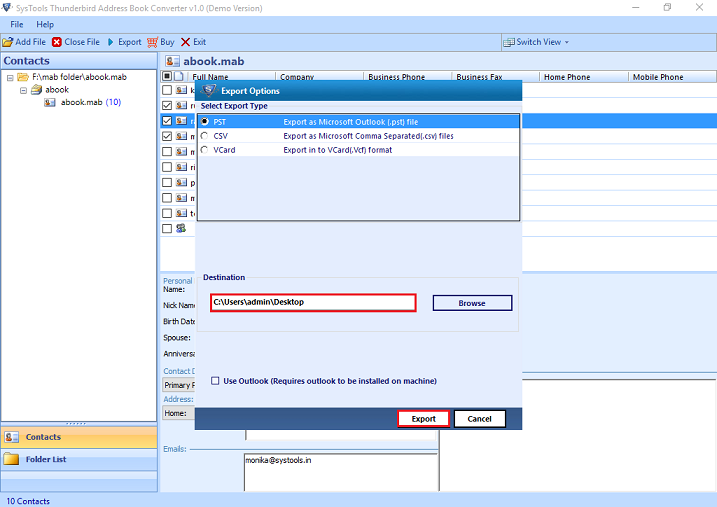 Follow the below given steps for conversion of MAB file using the Convert MAB tool. It explains the entire features of software with screenshots to make it more simpler. First of all Download and Install the software, run the software in your machine, it will have the following interface. 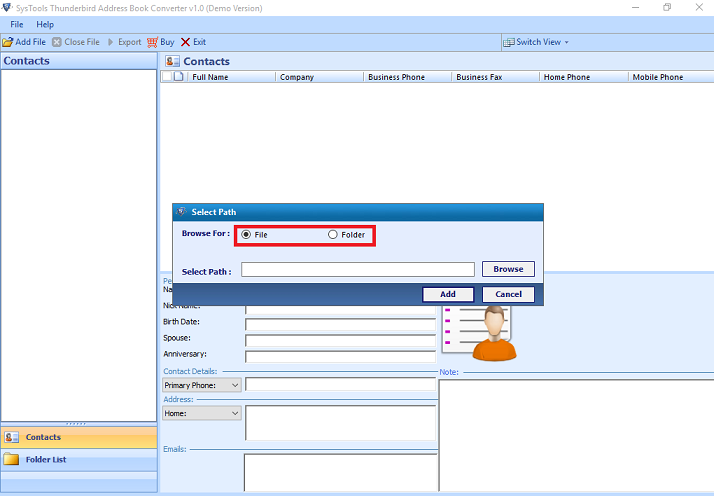 Click on Add File and Locate the MAB file either by choosing File(for single MAB) selection mode or by Folder(for multiple MAB) mode and add it in software. 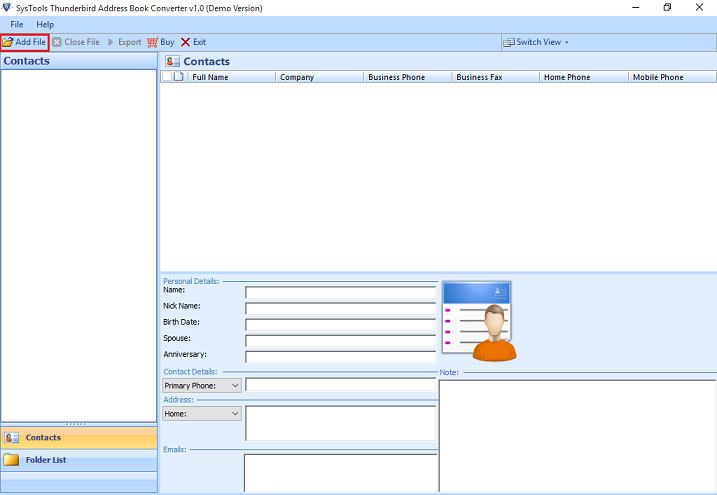 Select Export from top menu for all contacts conversion or user can individually select the contacts name and right click the mouse and export for selective conversion. After clicking on export, tool gives the Export options in which MAB file can be converted. 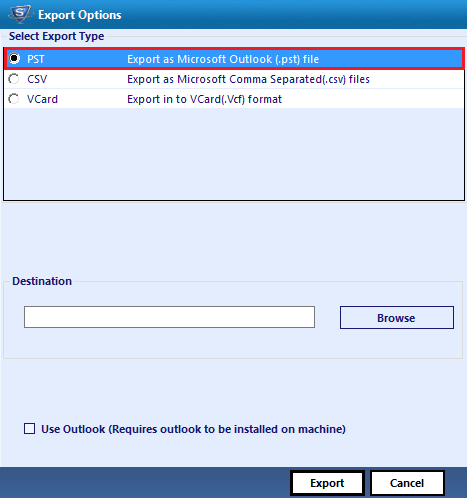 Select the format from PST/CSV/VCard. Now select the destination location where you want to save your exported file by browsing into your machine. 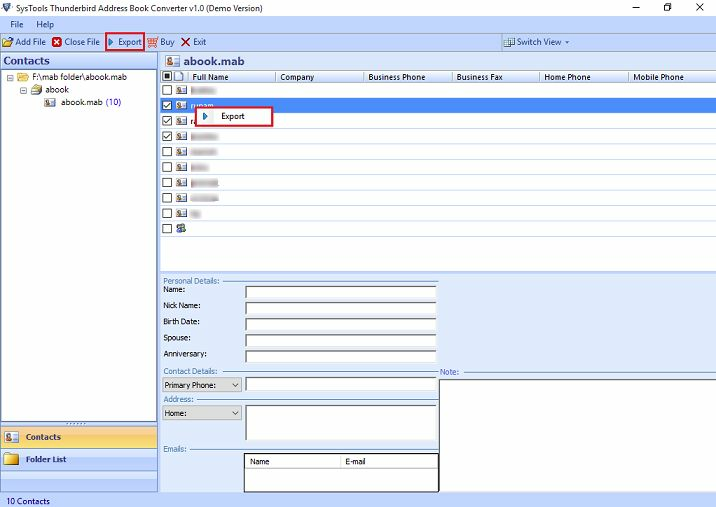 Below this if Outlook has installed in your system then select Use Outlook option otherwise ignore it. Click on Export for further processing. 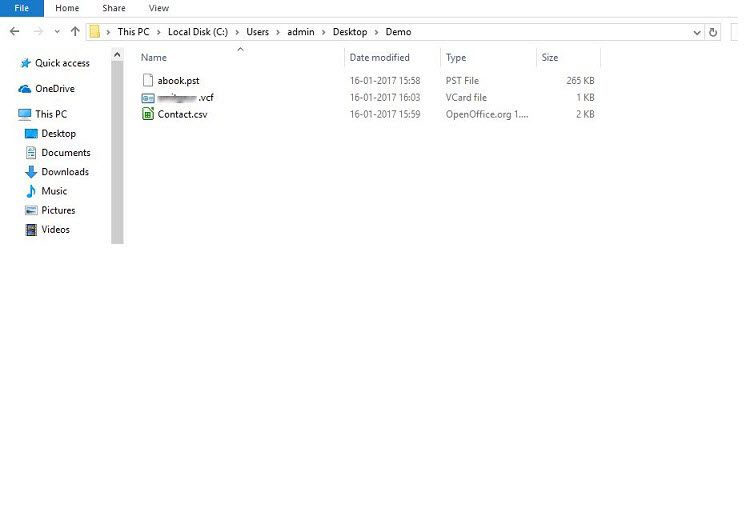 To view the converted file you can go to the location which you had provided in Destination text box.